The final seminar in our ESRC seminar series concerning the development of legal literacy and adult safeguarding was held at the Friends’ Meeting House in London on the 11thOctober bringing together three years exploration of meanings, interpretation and learning from the implementation of the Care Act 2014. 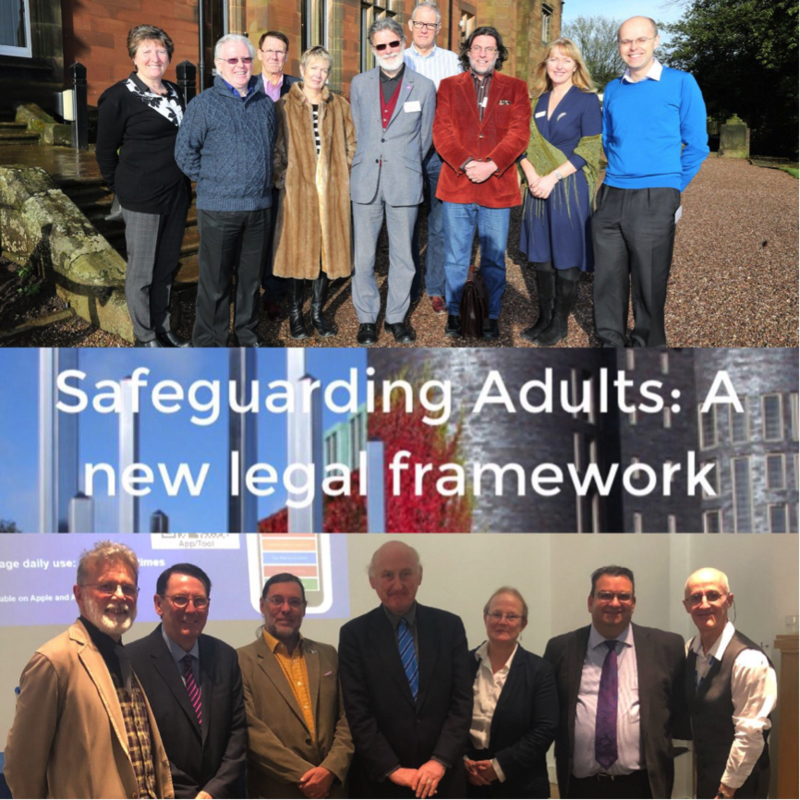 The series brought together expertise in adult safeguarding from the universities of Bournemouth, Bedford, East Anglia, Chester and led by Keele University, alongside practitioner expertise from 39 Essex Chambers and PASA-UK (Practitioner Alliance for Safeguarding Adults). The morning session was chaired by Prof Jonathan Parker, who introduced the retired high court judge Sir Mark Hedley to begin the day by examining professional power and responsibility and the complexities of decision-specific capacity and the need for care, brought to life through a range of often heart-wrenching cases. Prof Paul Kingston (Chester) and Luke Joannou of the Royal British Legion then considered the topical area of safeguarding in the charitable sector that highlighted contemporary demands for good governance brought to the fore by recent cases involving Oxfam and Save the Children. The final session of the morning was presented by Kenny Gibson, the recently appointed head of safeguarding for NHS England. Kenny, only 120 days in post, articulated some of the changes NHS England was making to roll out understanding and improve practice in safeguarding across the workforce. Prof Michael Preston-Shoot (Bedford) chaired the afternoon session. The Rt Hon Norman Lamb MP, the former minister who ushered through the Care Act 2014 began the afternoon, reflecting on transformative approaches to care and Winterbourne View. He was followed by Prof Jill Manthorpe (King’s College, London) who presented aspects of her research group’s work on whether or not powers of entry would be beneficial for practitioners working in adult safeguarding; a fraught and contested area of practice that raises the importance of debate in this area. Bridget Penhale (UEA) then took us back into the history of identifying elder abuse – a very recent history – showing the political twists and turns, and the ways this has added to calls for a UN Convention of the Human Rights of Older People. The afternoon was completed by Alex Ruck Keane (39 Essex Chambers) who took us back to the beginnings of the seminar programme and the elusive processes in developing adequate definitions to negotiate this complex practice milieu. 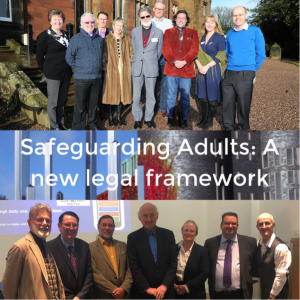 As a third year Sociology & Criminology student wanting to pursue a future career in Adult Safeguarding I found the seminar overall a tremendous help. On arrival I was greeted by many fantastic minds, and felt instantly welcome. 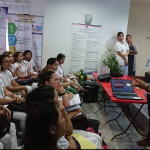 All of the speakers provided me with new and, more importantly, useful information, whether it was from textbook legalities and standard protocols, to their own personal experiences; it was both fascinating, and stimulating. I found the overall diversity of the speakers, something of great interest. Being able to gauge information from different people, and perspectives was a great touch in showing different fields and how they function. What I took away from the day simply was clarity. I knew after the seminar was over, that I really did want to pursue a career in adult safeguarding. It gave me a new founded drive, speaking to people who are developed in the field really has given me a boost, and hunger to achieve my future career goals. The people who attended the seminar were all very helpful, and provided me with information on how to further achieve my goals for the future. Sharing ideas and contextualising the historical and contemporary represents one of the ways in which we can broaden our understanding of international democratic ideals. We can recognise our place-in-environment as agents and the wider place of structures in forming, moulding and continuing policies that work for good or ill and choose to resist, adapt, or not, accordingly – not historicism but an agentic appreciation of the intertwining of the historical and biographical in shaping society and cultures. In this context, it was with great pleasure that we were able to welcome esteemed friend and colleague Professor Datuk Dr Denison Jayasooria to speak to staff and students about the changing democratic face of Malaysia. Prof Denison is principal researcher in the Institute of Ethnic Studies at Universiti Kebangsaan Malaysia and Co-Chair of the Malaysian CSO-SDG Alliance. He has undertaken a great deal of work with SUHAKAM, the Malaysian Commission on Human Rights, and with the United Nations in Malaysia in establishing a trajectory towards meeting the Sustainable Development Goals. Prof Denison rehearsed the formation of Malaysia and its history in colonial times, considering the ethnic composition mixed to provide jobs, administration and infrastructure in Malaya and the constitution promoted at independence that privileged one group to be ‘more equal than others’. 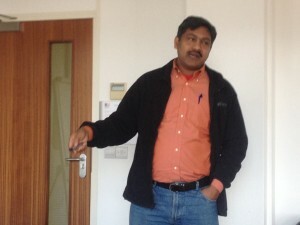 He provided a post-colonial analysis of the contemporary issues facing modern-day Malaysia. Each model was seen to have some claim, whilst there is a need for inclusion, participation and human rights focus as Malaysia moves forward. The constitution formed the basis for discussion of the different types of Malaysia envisaged and indicates an area that is ripe for further study and analysis. It was good to see staff and students from a range of social science disciplines, from the pure to the applied, who engaged vigorously with the ideas promoted. As the UK stumbles into an uncertain and dangerous future and its democratic claims become increasingly under attack, it is good to be reminded of the need for resistance to marginalisation, discrimination and exclusion but also respect for or engagement with the ‘other person’s view’. Prof Denison showed how by engaging with a range of different perspectives new ways of thinking about and doing politics can emerge. Of course, the human rights bedrock must be there for this to work, and Prof Denison clearly highlighted this need. Professor Jonathan Parker was invited to present the keynote address to the Japanese Association of Social Workers conference in Okayama in July. The conference brought together Ministry of Welfare officials, key social work professional organisations and academics from every university in Japan to discuss growing professionalisation in social work in Japan and the Asia Pacific region. 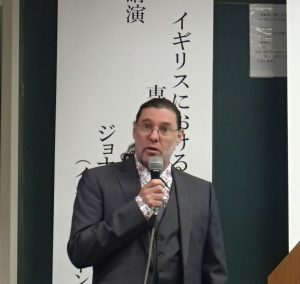 Professor Parker was invited because of his long-standing association with social work in Japan resulting from translations of his best-selling books Social Work Practiceand Effective Practice Learning in Social Work, which have been consistently used in Japanese social work education over the last decade. He has also undertaken research and published with Professor Tadakazu Kumagai of Kawasaki University of Medical Welfare who was also a BU visiting professor. Professor Parker’s keynote address warned of the ‘two-edged sword’ of professionalism and the dangers of recognition by the state, which restrict social workers’ role in resisting government prescriptions for the social control of individuals, families and groups without promoting a concomitant emphasis on human rights and social justice. Using psychoanalytic concepts, he argued that social work is an ambivalent entity in the minds of the general public and government and liable to be hated and blamed when tragedies occur whilst loved and required in times of need. Accepting this ambivalence, social workers need to take forward their resistance agenda by walking alongside those who are ostracised and marginalised. The keynote was well received and has led to potential developments in UK-Japan funded research. As a discipline and a profession, social work builds on a wide variety of methods and techniques for its practice. The broader frameworks of social work methodology guide social workers through the process of developing and creating interventions with different service users, carers and other professionals. 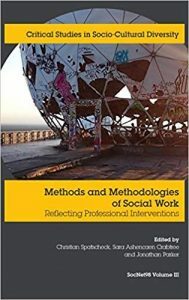 This book aims to provide an overview of current debates concerning social work methods and methodologies from an international perspective. It provides and enables exchanges about the variety of approaches and reflects the knowledge base for bringing social work theory into practice in different European settings and welfare contexts. It is a timely and welcome addition to the literature at a time when European cooperation and solidarity is much needed. Edited by Professor Spatscheck from Germany, and Professors Ashencaen Crabtree and Parker from the UK, this book comprises chapters selected from presentations held at the 17th SocNet98 International University Week at Hochschule Bremen and includes further contributions from throughout the SocNet98 network. The work includes a chapter by the editors co-authored with past BU Sociology & Social Policy students Emilie Reeks, Dan Marsh and Ceyda Vasif. “SocNet98 – European Network of Universities/Schools of Social Work” provides highly successful International University Weeks for social work students and academics from across Europe to learn from and share with one another. These study weeks have enriched social work education for 20 years and continue to do so. On Tuesday evening, we were most fortunate to host a talk byProfessor Philippe Sands QC, the eminent human rights barrister and Professor of Law at University College London. The evening was a collaborative event between the Westbourne Literary Festival – the ‘Book Binge’ – and the Department of Social Sciences and Social Work’s Centre for Seldom Heard Voices: Marginalisation and social integration. The talk concerned Philippe’s Sands extraordinary book East West Street: On the origins of genocide and crimes against humanity, which is described as part detective story, legal thriller and part family history. The family connections that Sands identifies with the two Nuremberg prosecutors who developed law relating to human rights and genocide, Hersch Lauterpacht and Rafael Lemkin, are made even stronger when drawing on the close association all three have with promoting human rights and fighting crimes against humanity, connected family histories, places and education. We were reminded, importantly in our current period in history, that the development of human rights in international legislation was undertaken and promoted by the British at the Nuremberg trials. The tradition of compassion, fair play and commitment to human rights that has characterised British society was again emphasised with a warning that we must not lose it. The talk, and the wide-ranging Q&A held afterwards, was not restricted to the book. Indeed, the consequences of Brexit, Trump’s United States, and world turmoil that allows the rise of the far Right link directly to questions of human rights, abuses of those and to crimes against humanity. Just a few days after the US, UK and French strike on Syrian targets it is not surprising that discussion turned also towards these contemporary events. The evening was open to the public and a large crowd supported it. 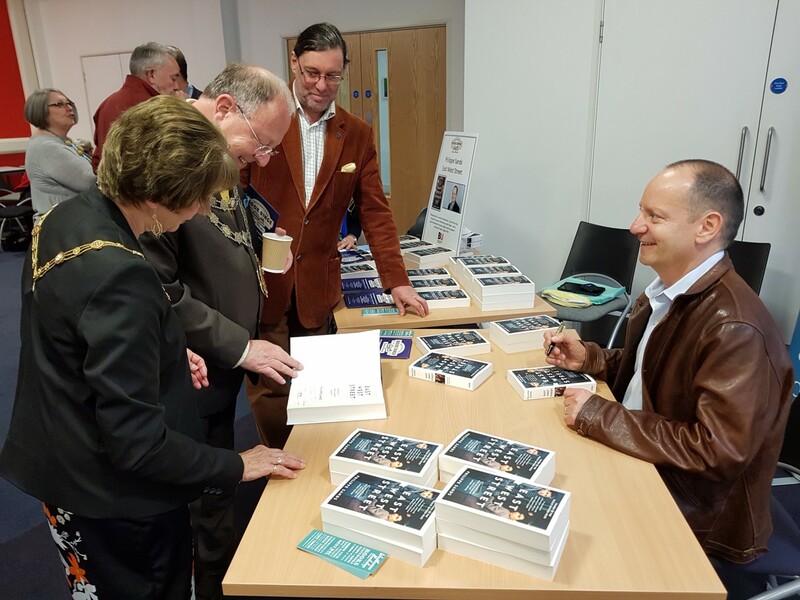 Attendees were transfixed by Philippe Sands’ easy yet erudite manner, and our honoured guests, the Mayor and Mayoress of Bournemouth, Councillor and Mrs Williams, were eloquent in their praise of this fascinating, challenging and most timely talk. 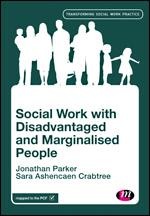 Our latest book Social Work with Disadvantaged and Marginalised People (Prof Jonathan Parker & Prof Sara Ashencaen Crabtree) is published by Sage. The work offers theoretical and practice based perspectives and insights into the complexities and importance of working with people at the margins of societies. 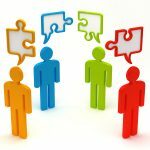 Everyone who works with people and especially social and community workers need to understand the powers and processes that lead to disadvantage and marginalisation and to develop the knowledge, skills and values necessary to bringing about positive change and upholding social justice and human rights. This need is reinforced in our present uncertain and insecure times. When the idea of writing this book was first mooted by our publishers we wondered what new approach could be brought to an area that seemed well trodden already in social work. What we found during the process of writing, however, was that there was a great deal to say on this hugely, perhaps fundamentally, important topic, in relation to the transition of social work as a profession operating in a society riven with inequities and divisions. 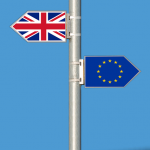 All times are ‘interesting’ for someone somewhere, but it seems a truism that we are currently living through a time of monumental and deeply uncertain transitions in the UK that will have a decisive bearing on lives and futures. Within the country we see that public services are stretched to crisis point and that public service pay caps are plunging public sector workers and many other working people into penury. We see that poverty is increasing, incomes are falling compared to rising household costs, and social welfare nets offer considerably less security than formerly. Where then does this leave today’s social work graduates for whom amongst others, we have written this text? They are entering a beleaguered, under-funded profession and it could be said that social work is living through the ‘worst of times’, but, maybe also one of the best, to paraphrase Dickens’ novel A Tale of Two Cities. The knowledge base of social work often constructs the concept of crisis as creating the tipping point to necessary change. We would suggest that this maybe where we currently are in England, we certainly hope so. For while the slow and unedifying helter-skelter journey downwards has taken time, as will the spiralling journey upwards, this can occur and maybe must occur, for the profession to survive. If change does happen and the profession eases itself up to a standing position, bedraggled and in tatters maybe, it should also take matters into its own hands and refuse to serve as political ‘whipping boy’ any longer, in the interests of marginalised and disadvantaged individuals and families everywhere in the England and the UK as a whole. If it fails to do this then it could be that social work in England, at least, will not survive into the future as a recognisable profession that adheres to international standards and values. If such were the case, then that indeed would be counted among the greatest national tragedies of our time. I was lucky, and honoured, in late October to visit Vechta, Lower Saxony, to give a keynote at the Gemeinsame Werte in Europa? (Common values in Europe?) 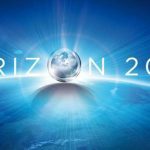 conference as part of a European-wide celebration of 30 years of Erasmus funding and exchanges. 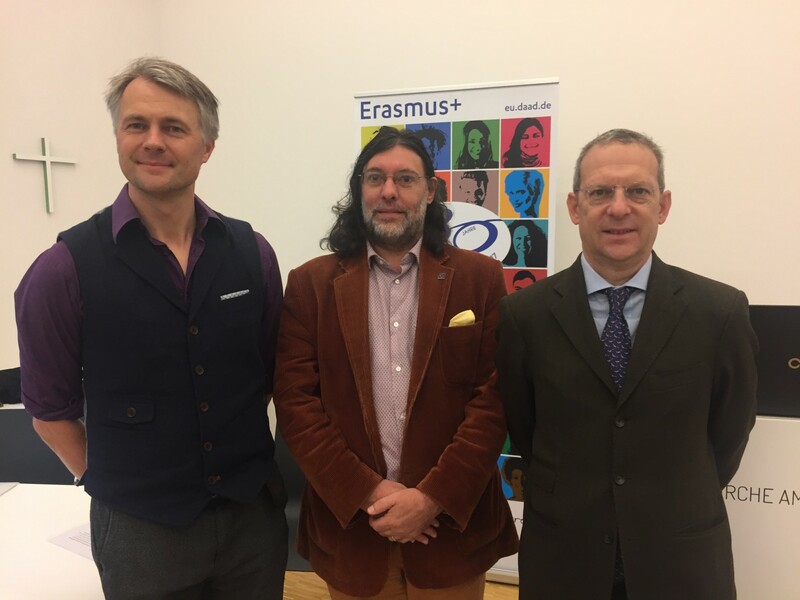 Having acted as part of a European-wide panel on the future of Erasmus – especially post-Brexit – my keynote address dealt with the challenges of ‘precarity’ for many of our citizens throughout Europe and the need for radical social action to confront the increasing insecurities, uncertainties and inequities within contemporary society. 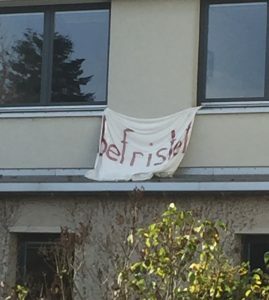 It was a plea for European solidarity and action against neoliberal atomisation and its debilitating effects on the communitas, something that resonated with the European and international audience. Last week my colleague from Universität Vechta, Magnus Frampton, continued the dialogue begun in Germany by offering an important seminar ‘What’s in a word? Bildung and pedagogy: two German understandings of education’ which explored, amongst other things, Wilhelm von Humboldt’s legacy to education. This was important in reminding us that education specifically focusing on the requirements of the economy or business is potentially damaging to the individual. It reminds us that the human and the social is central. So, as we contribute to developing education, meaning and society, not as a linear project of the enlightenment but as a means of cultivating the self and the social and in shaping and creating anew who we are as human beings, we need to challenge and to question, to resist and make new rather than to be moulded as economic units for those with power. 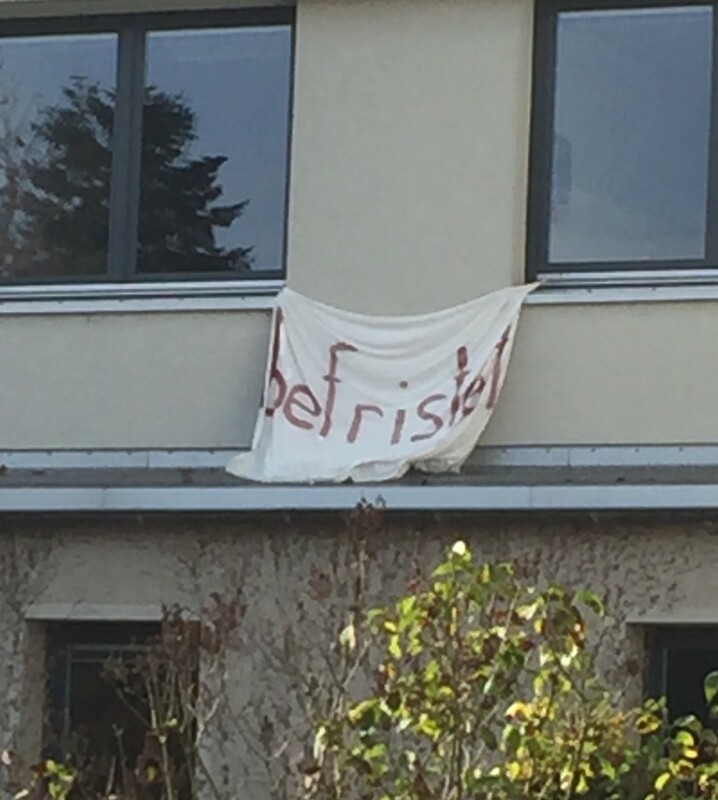 Long may the potential of Erasmus offer this academic freedom! Everyone experiences conflict in life. How we deal about it is different, however. 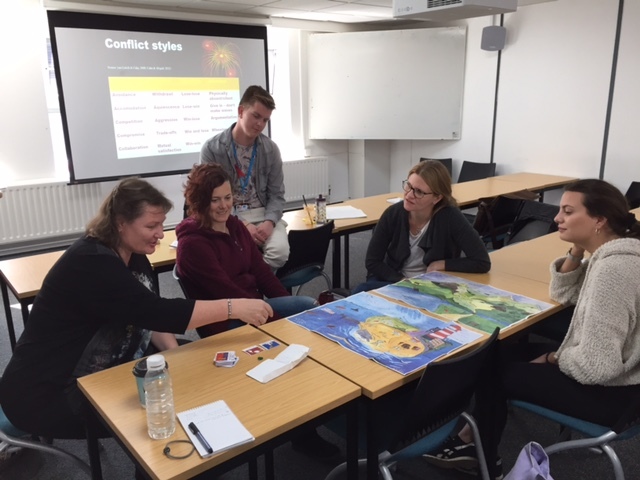 Various forms of conflict and strategies of facing them was the topic of a recent workshop organised by Professor Gabriel Schäfer, from University of Applied Sciences, Bremen in Germany. Her talk and workshop on conflict and conflict resolution has been organised over three days by Professsor Jonathan Parker of the Department of Social Sciences and Social Work. Professor Schäfer argued that conflict resolution happens in different ways because conflict is related to aggression and as human beings we have different ways of expressing our aggression. What we need to remember in resolving the conflicts is to acknowledge that firstly our individual personalities are different (some face conflict and some want to let it go), and secondly there are cultural differences that may cause these conflicts go deeper. As it happens, relationships between couples from different cultures break up more often than those where partners have shared history, background and cultural attributes. However, in the workshop, we tried and tested different strategies that help us to not to diminish but to manage these personal and cultural differences. Professor Schäfer presented three excellent workshops to staff and students on professionally qualifying and pure academic programmes. At a time of heightened tensions across the world learning effective ways of dealing with conflict is, of course, very important. It is central to working and living in our increasingly diverse and multi-cultural world and allows us to disagree, argue and resolve differences in constructive rather than destructive ways. 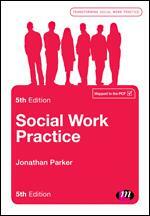 The fifth edition of Social Work Practice, BU professor Dr Jonathan Parker’s bestselling book, has just been published. The book takes readers through a step-by-step journey into the four main aspects of contemporary social work practice – Assessment, Planning, Intervention and Review – underpinning these in their relational contexts and stressing social justice and human rights. The book introduces readers to each process in a clear and accessible way, supporting readers to both reflect on and apply what has been learnt in practice across settings and service user groups. 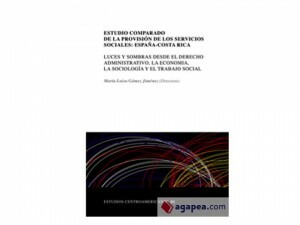 The book provides a theoretical foundation from which readers can explore other aspects of social work. Sociology, as an emerging discipline, developed within the crucible of historical studies of changing lives, transforming events and a search for alternative ways to understand history. We see this in the works of such illustrious progenitors of sociology as Tocqueville, Marx, Durkheim and Weber but it has itself been marginalised, even hidden, as social, political and historical events have unfurled and a turn to biography has displaced the historical. Furthermore, historical sociology has taken something of a battering since John H Goldthorpe decried its relevance towards the end of the last century. However, it is perhaps this railing against the historical which has lent itself to a resurgence through such key figures as Barrington Moore, Charles Tilly, Theda Skocpol and Shmuel Eisenstadt amongst others. But what of its place within contemporary undergraduate sociological education? In an attempt to introduce today’s BU undergraduates to the important interdisciplinary fusion of the social, the biographical and the historical we have developed an innovative exploration of the histories of social welfare that students take in their second year of full time study. 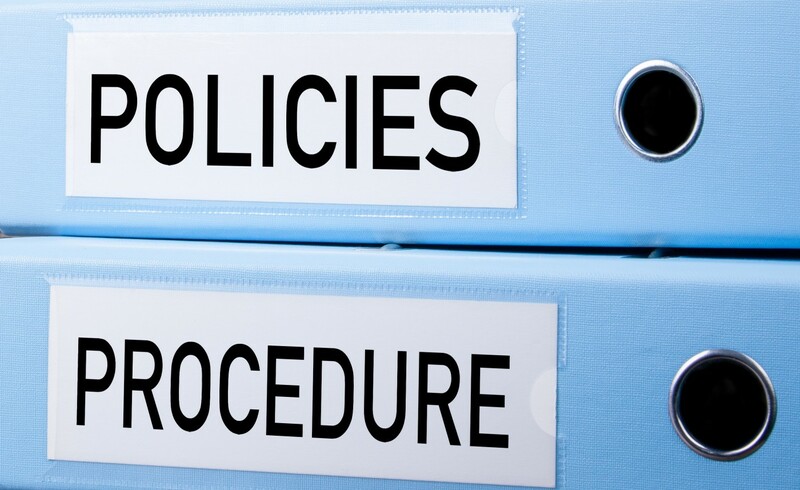 This involves the broad study of social and political welfare initiatives through to the Poor Law, its reform and the implementation of the Welfare State, retrenchment and contemporary attacks on welfare and those who claim benefits. So what? You may say. This is similar to most programmes of study charting welfare policy. However, two specific aspects mark out this module. The first is the assessment, reported elsewhere, which requires groups to explore the experiences of characters in specific historical periods through the construction of a narrative. This allows students to enter into the social and political worlds of individuals in need of social welfare and support. The trip … showed us how throughout history policies have changed, yet some have remained the same as 600 years ago. It made us appreciate and value history more. We learned how the welfare state changed with time to adjust to the environment and the social conditions (war, economic state, health condition of people etc). I also found it interesting how the food bank is run. I think it is so lovely that the people of Sherborne deliver the food bags to the people who cannot come to collect them. I have never heard of anywhere else that does this before and think it shows just how close a community can be and that we should all work together to help each other. I was really surprised to find out that there are people still living in the alms houses today! I was not expecting that. I found it really interesting how there are still so many similarities to how it was ran when it began to how it is ran now. Before the trip my understanding was that to live in the alms houses wouldn’t have been a nice experience but from the trip I was able to understand that it was actually built with the intention to help people and that is exactly what it did and still does today. I made connections with the histories of social policy and welfare when I understood that the people who came to live in the alms houses were the ‘deserving poor’. 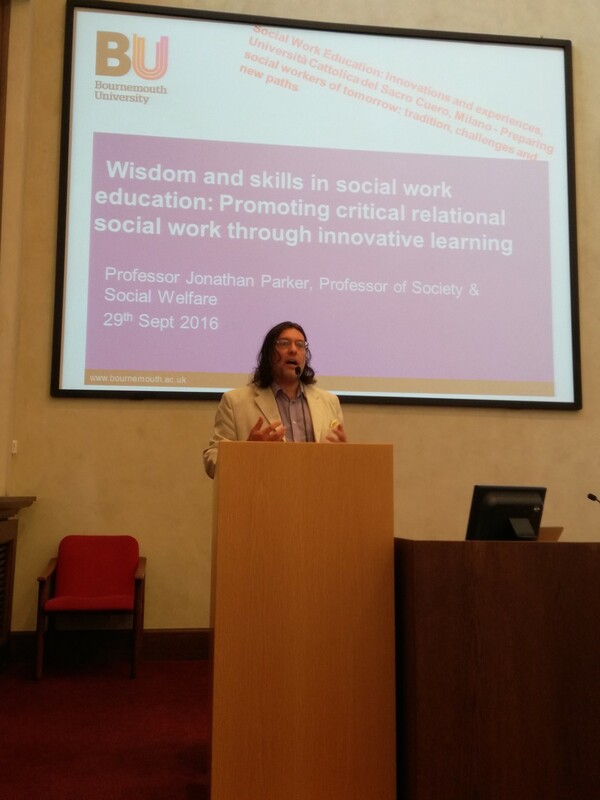 On Thursday BU Professor Jonathan Parker delivered a plenary address to I Convegno Internazionale ‘Social Work Education’ Innovazioni ed Esperienze (The International Conference on Social Work Education: Innovations and experiences) in Milan, Italy. Having represented the UK higher education sector when vice chair of the Joint University Council Social Work Education Committee body and drawing on wide research, knowledge and experience of the reforms in English social work education he presented the dangers of replicating England’s changes before introducing innovations that offset some of the risks. 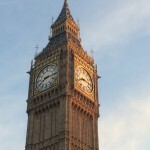 In an effort to ‘raise the quality’ of social work education, and to respond cynically to popular pressure, successive UK Governments, particularly in England, have imposed standards and regulatory frameworks that have curtailed the capacity of universities to educate students according to their specialist interests and research areas. Rather than focusing on pedagogy, universities have allowed employer organisations to set the agenda. 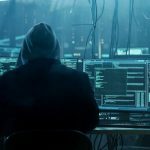 They have increasingly restricted their curricula and by so doing have co-created, with various governments, a social work that is predominantly concerned with protection and safeguarding. 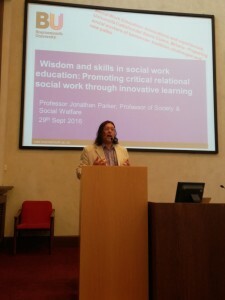 Addressing a wide audience including the current president of the International Association of Schools of Social Work, Professor Annamaria Campanini, Jonathan Parker focused on the dangers of transferring these models and replicating them rather than promoting social justice and relational social work practice. He called for education that championed passion and joy in teaching and learning, was student-centred and actively challenged the corporate homogenisation of education. He suggested a focus on ethnographic practice in education, learning and onward into social work practice could offer a way forward and was needed. Two other British academics, Professor Peter Beresford and Dr Pamela Trevithick, provided plenary sessions on service user involvement in education and relational skills. 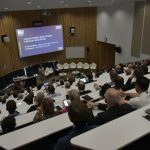 The conference was keen to learn about the innovations in and the problems of the English sector and to promote relationship skills and wisdom not the rigid application of standards that have crossed into higher education from the adoption of neoliberal market practices. 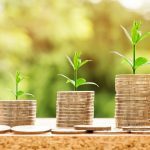 A six nation collaborative EU bid, led by BU’s Sarah Hean and including Carol Bond, Jaqui Hewitt-Taylor, Sara Ashencaen Crabtree and Jonathan Parker has been successful in securing funding for a four-year project exploring meaningful, appropriate and effective ways of assisting the rehabilitation of people in prison with mental health problem. Sarah is currently completing her highly successful and prestigious Marie Curie-Sklodowska fellowship at the University of Stavangar, Norway, returning to BU in January 2017. Reoffending is a problem in Europe and internationally. Offender rehabilitation strategies to reduce reoffending focus on limiting key risk factors (e.g. unemployment, substance misuse) which are so often mediated by the individual’s mental health. Levels of mental health are much higher in the prison population, which therefore limits the effectiveness of rehabilitation strategies. Professionals in mental health and prison services constantly need to find new solutions to the bespoke needs of each individual offender with a mental health issue. Leaders in these services need to transform current working practices in a process of continuous quality improvement to keep up with the changing needs of the offender population, the development of new technologies and the changing landscape of service provision. However, people who have offended also need to take responsibility for their rehabilitation and play an active role in developing solutions to their own needs and challenges. In other words front line professionals, offenders and leaders need to be innovators. This project therefore seeks collaborative and effective relational work and knowledge exchange between professionals from mental health, prison services and individual offenders. At present collaboration between prisons and mental health services is limited. New models of interagency working are required in which social innovation and collaboration processes are made explicit. In the fields of developmental work research, practice development and social innovation, there is a range of successful models of collaborative working and innovation that have had positive outcomes in other practice contexts. The methods include the ethnographic ‘change laboratory’ methods in development work research, the Ajkaer model of social innovation and collaboration based on a ‘diamond model’ of innovation already applied to working between prison officers and prisoners, Practice Development Units developed and extensively applied in the field of health and social care organizational change with a national reputation in the UK and competency based educational models focused on developing integration, collaboration and social innovation competences in the workforce. The academic members of the consortium have international reputations in the application of these models and will apply these to the rehabilitation of mentally ill offenders specifically and to the interagency working required between mental health services and prison services exploring which of these models might be most effective in transforming interagency working practices in offender rehabilitation or whether an amalgamation or hybrid model combining the strengths of these might be more appropriate. Following from our successful study leave in 2014, Professors Sara Ashencaen Crabtree and Jonathan Parker have published a monograph charting their ethnographic research with the Jakun people, an indigenous community living around the Tasik Chini area of Pahang in Malaysia. The book Death of the Dragon God Lake: Voices from Tasik Chini published by Malaysian publishers SIRD (Strategic Information and Research Development) and endorsed by the indigenous peoples’ social activist Center for Orang Asli Concerns will be launched at the Festival of First People’s Arts from August 5-8 in Malaysia. The book offers a critical ethnography analysing the impact of neoliberal modernisation on traditional lifestyles and a reflexive understanding of the path foreign researchers tread in post-colonial societies. It is a cry for social and political justice, humanity and wellbeing. 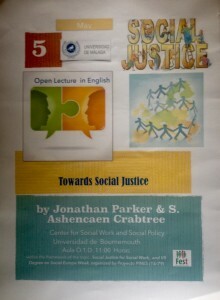 Professor Jonathan Parker and Professor Sara Ashencaen Crabtree were honoured to be invited to the Universidad de Málaga to present their work with the Orang Asli (first peoples) of West Malaysia, undertaken in 2014 with the assistance of a Fusion Investment Fund grant from BU and honorarium from the Universiti Kebangsaan Malaysia. The honour was manifold, not only because of our on-going partnership in research, scholarship and education with colleagues in Málaga, in particular Prof Mária Luisa Gomez Jimenez, but also because it expressly allowed us to tell the story of the systemic disadvantages experienced by and deliberate marginalisation of the Orang Asli living in the Tasik (lake) Chini region in the state of Pahang, Malaysia. 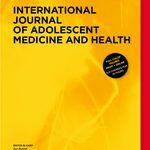 When undertaking our ethnography, a study that sought to capture the culture, thoughts, feelings and anger of the people, we were struck by our seeming voyeuristic impotence as researchers, especially as researchers from a high income Western country. We questioned what we could do to assist the people in challenging their disadvantage and marginalisation and being engaged with the communities we asked them, explaining clearly that we could not directly change government policy, the social stigma resulting from commonly assumed myths and perceptions of the Orang Asli. The people, with one voice, entreated us to tell their stories across the world. We have attempted to stay true to this request since our research ended. 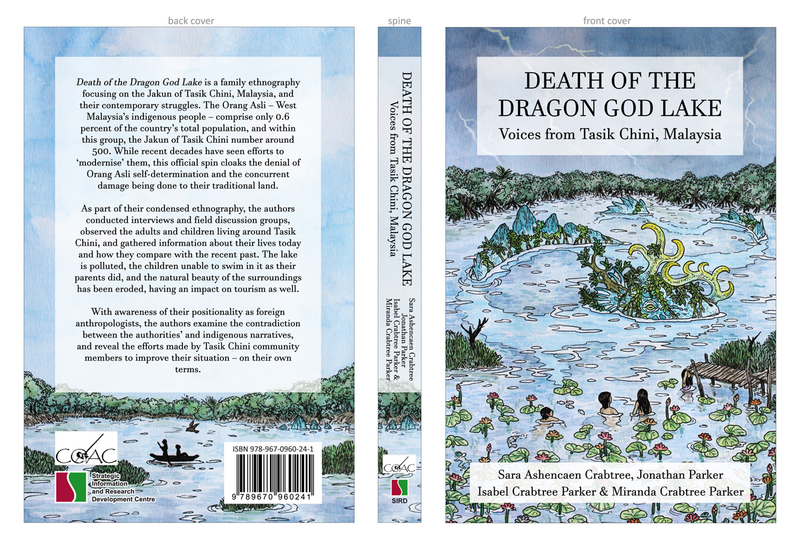 Alongside various blogs and academic papers, our book The Death of the Dragon God Lake is now with the printers. Academic outputs can often, however, gather dust and remain unread outside academia. However, having signed with an activist publisher in Malaysia and secured distribution rights for Europe and the US through a British publishing house it is more likely that this will promoted as a social critique. The best way, having said this, to ensure the socio-economic and environmental plight of the Orang Asli is to speak with faculty, students and members of the general public around the world, to raise awareness, to discuss power relations and to offer critique of global neoliberalism, acknowledging, of course, our own positions in respect of our work. The invitation to Málaga, with a specific request to talk about social justice, allowed us to promote the cause of the Orang Asli, to fulfil our promise and to bring these often hidden issues into the open. We were fortunate in this open lecture in Málaga to be speaking to a broad international audience including Spanish, German, Costa Rican, Canadian and Romanian participants, ensuring the messages would be spread wide. Ethnographic research can no longer simply illuminate some perceived exotic ‘other’ but must engage directly with the life-worlds of disadvantaged and marginalised peoples, telling their stories and challenging oppressive socio-political and economic structures through research and scholarship. Today, Tuesday 15th March 2016, is World Social Work Day. Whilst the growth in ‘world this’ or ‘world that’ day may cause some to groan and turn off, there is tremendous importance in World Social Work Day because of it focus on social justice, wellbeing and positive change for individuals, families, communities and states. This year’s theme for World Social Work Day is Human Worth and Dignity, something important to all our hearts, and central to contemporary concerns as the Syrian crisis continues and, unfortunately, exemplifies the state of much of the world. 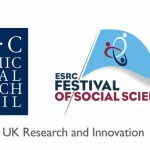 As a precursor to celebrating the day, the Department of Social Science and Social Work has been fortunate to host two important international speakers. 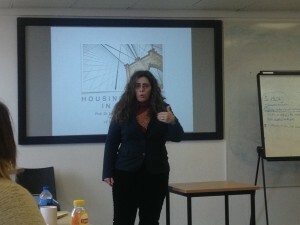 On March 3rd, our visiting fellow and co-author with Prof Jonathan Parker, Prof Dr Maria Luisa Gomez Jimenez from the University of Malaga introduced aspects of the housing crisis in Spain, outlining some of the ways in this problem might be addressed. 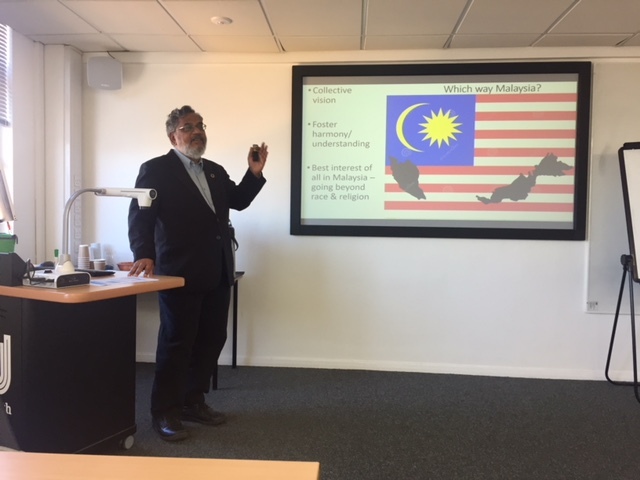 Yesterday, Dr Bala Raju Nikku, founding director of the Nepal School of Social Work (NSSW) and visiting senior lecturer at the Universiti Sains Malaysia, where he worked alongside Prof Sara Ashencaen Crabtree and Prof Jonathan Parker, took time off from his COFUND fellowship at the University of Durham to speak about disaster social work. He used the 2015 earthquakes in Nepal as his focus. The NSSW and Dr Bala were active in providing social work support after the earthquakes and responding rapidly so that students could engage in the work and learn through service delivery, whilst being able to understand and theorise at the same time. Human worth and dignity are central concepts which are often trivialised or ignored in contemporary society. If we are to engender social trust, positive relationships and a co-produced future not based on profit alone but on reciprocity, compassion and sustainability we must engage with these concepts. This year’s World Social Work Day helps us do so. 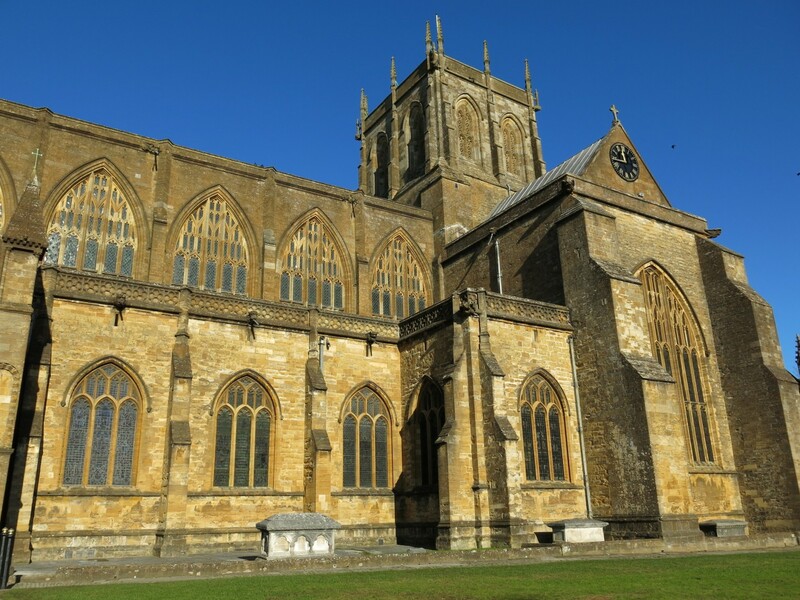 Profs Jonathan Parker and Sara Ashencaen Crabtree undertook their annual field trip to Sherborne Abbey and St Johns’ Almshouse (Yes! The apostrophe’s in the right place, it refers to two Johns.) on Monday. The trip is held for Sociology & Social Policy students studying the histories of social welfare. This year was particularly valuable as the students are producing group narratives concerning a range of characters and scenarios from history involving research into policy, legislation and practices to contextualise their stories. 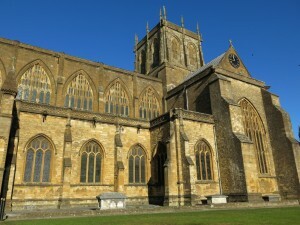 Seeing at least six hundred years of active community welfare and care through the almshouses, and tracing back Sherborne’s history to the time of Alfred the Great – who initiated a precursor to the poor laws for his people – the students were able to see the lived experiences and histories written about in their own research. 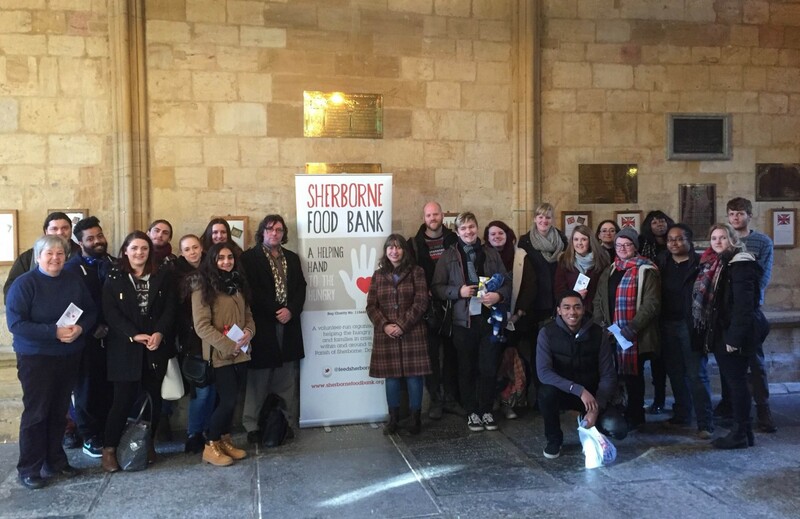 This was brought sharply into the present day when it was revealed that the Sherborne foodbank programme serving a population of little over 10,000 people is delivering in excess of 1,000 food parcels each year! 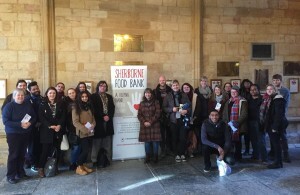 Students gained great insight into the connecting strands of welfare at formal and informal, state and charitable/third sector levels. It is our great pleasure to announce the publication of a comparative sociological, economic and social administrative study of social service provision in Spain and Costa Rica. Our visiting fellow from the Centre for Social Work, Sociology & Social Policy, Assoc Prof Dr Maria Luisa Gomez Jimenez from the Universidad de Malaga in Spain, is a legal sociologist who works with BU Profs Sara Ashencaen Crabtree and Jonathan Parker concerning housing provision and its meaning in times of austerity in Spain. She has also edited Active Ageing: Perspectives from Europe on a vaunted topic with Centre director Prof Jonathan Parker. The crisis of the Rohingya refugees fleeing Myanmar through perilous sea routes reminds us of our visit to Myanmar, as part of our Fusion Fund study leave last year, where we discussed the newly formed assistance centre in Penang, Malaysia, set up for such people, with our Southeast Asian colleagues. The city of Yangon, formerly Rangoon, in Myanmar is graced by the golden pagodas of the national religion, Buddhism, and is also where Christian churches of past colonial times and new ‘mega-churches’, and mosques stand within easy reach and visibility of one another. Seemingly, then, based on this rich and historical bricolage of spiritual phenomena, Myanmar is a jewel of multi-faith tolerance. Underneath this thin and brittle surface, however, boils a crucible of ethnic, religious and nationalist violence. 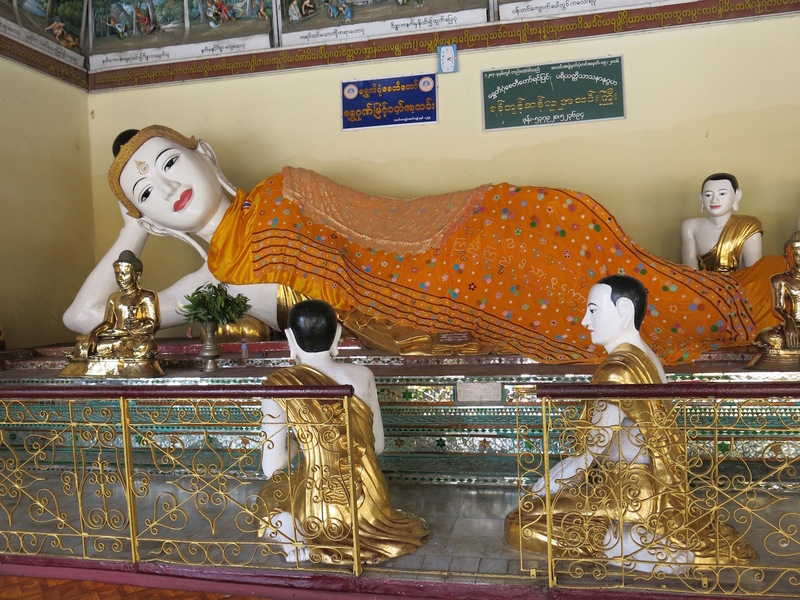 Our ingrained Westernised hegemonic partiality, in which we are presented with images of Buddhism as symbolising peace, compassion and contemplation, in contrast with Islam as the font of world terror, is seriously challenged in the Myanmar context. We experienced religion here as a form of resistance in respect of the revivalist religiosity of Baptist Christian groups amongst the Chin tribes during our short visit, which was also a time of curfew and riot, although not one generated by these groups who found an outlet for their dissatisfaction in their ‘born again’ philosophies and the construction of a sense of belonging through ‘otherness’. At that time the curfew was ordered in parts of the country because of the increasing discord and physical violence between nationalist Buddhist groups, including (bizarrely to some maybe) Buddhist monks, and the minority Islamic peoples, the Rohingya, who, although officially robbed of citizenship status and therefore stateless, also claim autochthonous status in Myanmar. Indigeneity, itself, is a much-contested concept, more so when we consider theories of human evolution or when we excavate the historical migratory patterns employed by human groups. Indigeneity offers a powerful discourse that has been applied by all sides of the political spectrum: the oppressed and disenfranchised, and also those who seek, by means of violent ethno-nationalism, to protect their state borders, or to impose a particular ideology which is put forward as legitimisation owing to the prerogatives of precedence. The Buddhist majority exert the forces of ethno-nationalism as a means of purifying modern Myanmar from this Islamic group, a use of state religion to justify oppression and to forge a single state religion. What we witnessed last year in Myanmar and what is happening to the Rohingya currently represents an uglier face of our working analytical concept of ‘religion as resistance’, creating the overt challenge of supremacist politics. We have seen some of the worst of humanity in dealing with the crisis of the Rohingya fleeing from Myanmar. With Thailand policing its physical borders more rigorously, the people have turned to people smugglers, traffickers and to the seas, in particular the dangerous waters of the Bay of Bengal and the Andaman Sea. We have witnessed Thailand, Malaysia and Indonesia’s attempt to remove the ‘problem’ from their national boundaries but also then adopting a more humanitarian response under international pressure, and we have witnessed the shock of individuals when the full horror of trafficking and death is revealed. Yet we have not seen the international community mobilise in support of the Rohingya people perhaps for some immediate reasons. Firstly, the Rohingya are Muslim, and a stereotype of contemporary terrorism as located in faith ideologies prevails. These prejudices may be strengthened further by Western applaud of the economic, rather than political, raising, of the formerly impenetrable bamboo curtain of Myanmar. Finally, Western eyes may view the state religion in Myanmar through lenses of prior assumption of Buddhism as fundamentally and prima facie incompatible with aggressive oppression of others. The plight of the Rohingya echoes, to varying degrees, that of many other displaced or disenfranchised indigenous peoples: dislocation, diminishment of economic, political and religious rights, and the precariousness of marginal existence. To exploit terms that the sociologist, Max Weber, coined, the United Nations Declaration of the Rights of Indigenous Peoples (UNDRIP) offers the rational-legal authority to battle their cause. However, there is also a need to call upon traditional authority to reinforce beleaguered identities and it is here that we see the contemporary development of religious resistance. This has its positive aspects in creating a sense of belonging, of purpose, of transcendence but it may also have a downside in creating active resistance not to oppression but to the rejected Other – and together forms another important plank in our exploration and theorisation. Our continuing work with the experiences and voices of indigenous peoples throughout Southeast Asia, MENA and now Central America will further develop this deeply intriguing concept of religion as resistance.